A guide to the Milo Ryan Phonoarchive of 20th century radio CBS Radio News broadcasts. Finding aid for the Milo Ryan Phonoarchive. Milo Ryan's History in Sound (UW Press). The Milo Ryan Phonoarchive stands as the only comprehensive collection of 20th century CBS Radio News and related broadcasts. Consisting of thousands of recordings, the Phonoarchive contains public affairs shows, actualities, speeches, interviews, wartime dramas, daily World War II news updates. 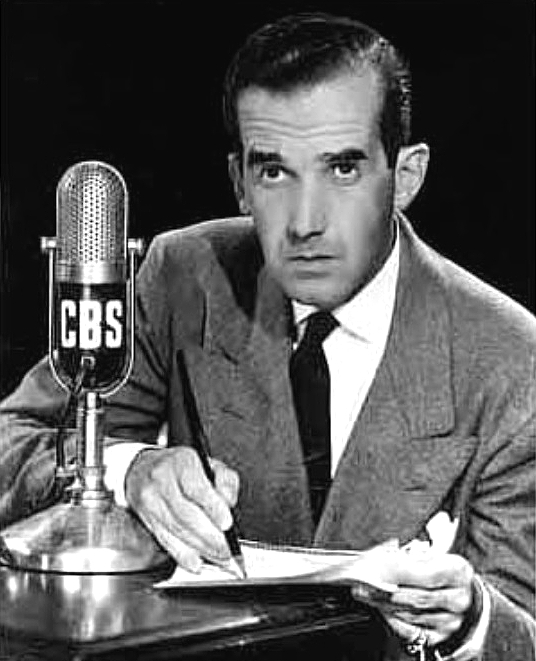 It captures groundbreaking broadcasts by Edward R. Murrow and his "Boys": William L. Shirer, Eric Sevareid, Tom Grandin, Larry LeSueur, Charles Collingwood, Howard K. Smith, Winston Burdett, Bill Downs, Mary Marvin Breckinridge, Cecil Brown, and Richard C. Hottelet. It includes recordings of programs and speeches made by public figures during and beyond WW II, including Churchill, Eisenhower, Einstein, Hitler, and JFK. As Dr. Donald Godfrey writes in his 1973 article "History Held a Microphone,"
... newscasts represent every weekday without a miss, from September 7, 1939, with the Germans entering Poland, to April 2, 1945, with the allies entering Germany.... Tapes contain examples of special events coverage: the Japanese attack of Pearl Harbor, the bombing of Japan, landings in North Africa, the 13 Normandy Invasion, the World Security Conference, April, 1945, the function of the American and Russian Armies, April, 1945, the death and funeral of FDR, and miles of tape on V. E. and V.J. days. Elmer Davis' daily five minute reports are represented in entirety from his debut, September 16, 1939, to February 13, 1941, and occasionally to July 9, 1943. H. V. Kaltenbom edits the news, complete from August 27, 1939, until January 26, 1940, and sporadically thereafter. Our library includes 21 speeches by Winston Churchill, representing 12 hours of this master of language. There are 51 talks by President Roosevelt totaling 24 continuous hours. A detailed description of most of the recordings in the Phonoarchive is available in this finding aid and in Milo Ryan's book History in Sound (UW Press). Between 2016-2017 the University of Washington Libraries digitized and preserved these reels. The vast majority of these files are now available for access in Allen Library on UW's Seattle Campus (see the "Listen" tab for more info). Questions? contact us at medialib@uw.edu. Milo Ryan: HistoryLink Profile. Biographical overview of Milo Ryan, by Sheila Farr. D-Day+15: HistoryLink Article. Description of the first radio broadcast to use the Phonoarchive, by Sheila Farr.